Lorilyn Roberts seemed to have it all—an interesting life, travel adventures, a great marriage, and hopes for future children to create the perfect, happy family. Almost overnight, those hopes were destroyed when her husband left her for another woman. For eight years following her divorce, nothing filled the longing she had for children. It is the soul-searching honesty throughout Children of Dreams that connects so wonderfully with the reader—all the author's pain, heartache, longing, frustration and joy. We smile with her, cry with her, and eventually, rejoice with her when she first brings Manisha home in 1994, and then finally, six years later, after even more delays and problems, when little Joy from Vietnam is added to their "forever family." "I wouldn't trade my children for anything in the world …. As God's precious gifts, I am amazed …. how God did what was humanly impossible--without an awesome God, I wouldn't have either of my daughters!" After Lorilyn’s father left her when she was two, Lorilyn grew up in Atlanta, Georgia, with her single mother. 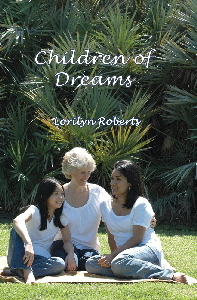 Later, her mother remarried, and Lorilyn was adopted when she was ten by her stepfather. Lorilyn always wanted to be a writer and finds her greatest joy, outside of her children, when sharing stories reflecting God’s healing and redemption. Despite much loss and rejection, Lorilyn sees God’s grace through it all and hopes through her writing to help others.